Mobile marketing is one of the most responsive and popular forms of out-of-home street marketing in the UK today. We can arrange for any vehicle to be branded from a small minibus right up to a double decker coach, just tell us your requirements and we will do the rest. 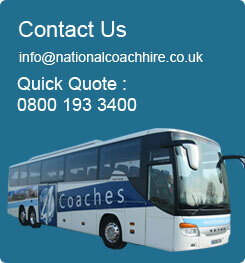 Below is an example of a recent coach branding that we assisted on for one our corporate clients. A colourful & vibrant approach to advertising and getting the message across, you will see this vehicle travelling up and down the UK in coming months visiting schools across the UK.